Imelda Esgana's fishing boat was repaired at the Oxfam Boat Rebuilding Center in Talisay. In one year, Oxfam will still be here and you will see an improvement because of the help you have given us. On 8 November 2013, Typhoon Haiyan, one of the most powerful storms ever to strike land, hit the Philippines. It wiped out entire villages and left 4 million people homeless. Roads, electricity and communications were cut off in a number of areas, which subsequently delayed access to many in need of help. In all, 14 million people were affected by the storm. In the first year of our response, we have reached over 868,000 survivors in Leyte, Samar, and Cebu with both urgent and long term support. With your support, we responded swiftly to the crisis: our experts on the ground were deployed immediately to assess the needs of those affected. Working with local partners, we delivered safe drinking water, basic sanitation, tents and tarpaulins for emergency shelter. In the first week, we also distributed hygiene kits containing basic essentials like soap, toothbrushes, underwear and blankets, to 10,000 people. Within the first 3 weeks, we had reached more than 90,000 people with life saving support. Since those terrible first weeks, we have concentrated our efforts on sustainable reconstruction: beyond emergency shelters and food distribution. Local populations need their houses and their livelihoods back: Haiyan destroyed a third of the country’s rice growing areas, 33 million coconut trees and 30,000 boats. 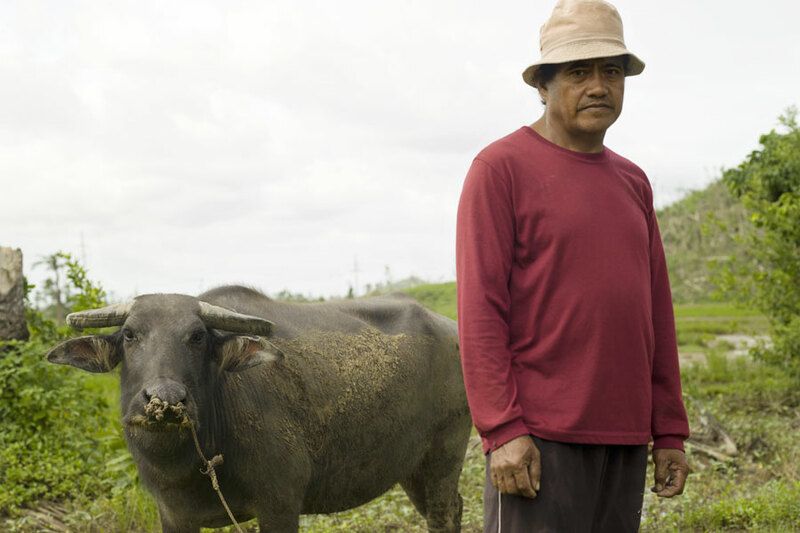 In that catastrophic storm, farming and fishing communities lost their means to earn a living and feed themselves. We have helped repair boats and fishing nets and set up programs to clear damaged coconut trees, process and use them for rebuilding houses. And one month after the disaster, we distributed 400 tons of rice seed, having first assisted farmers to clean their fields of debris. Haiyan hit the Philippines just as the Climate Conference COP21, was getting underway in Warsaw. Yeb Sano, the Philippines representative, reminded the world, in an emotional appeal, that climate change claims lives. It is affecting the poorest and most vulnerable now. We will continue to ask governments and big companies to cut emissions and help vulnerable communities to deal with changing weather. 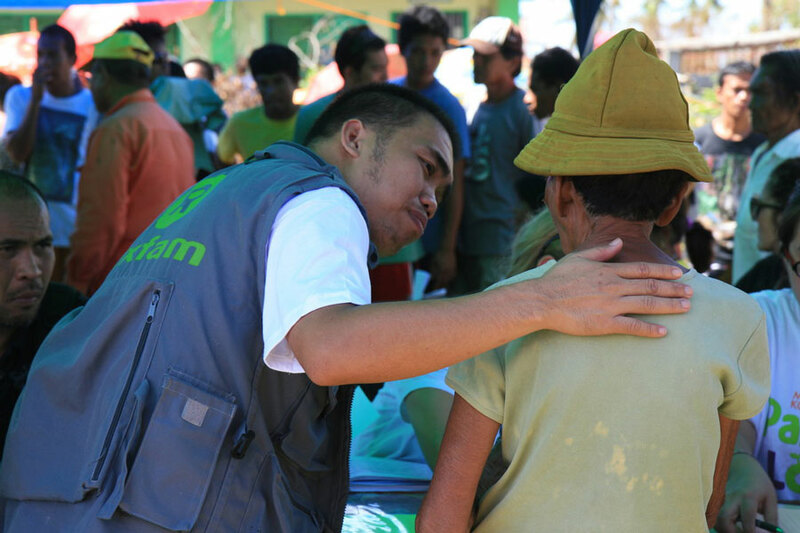 We have been working in the Philippines for over 25 years and we will continue our work helping the most vulnerable. By helping them to get their houses and livelihoods back but also by making sure that key issues for a resilient future are addressed. When Typhoon Haiyan hit, one-third of Tacloban’s homes had wooden exterior walls, and one in seven homes had grass roofs. Sixty percent of small-scale coconut farmers lived in poverty before the typhoon. The record-breaking strength of Typhoon Haiyan was a major factor in the devastation that resulted, but poverty and inequality were the underlying causes of vulnerability for the majority of the displaced. Resilient rebuilding must include plans to tackle inequalities and adapt to the impacts of climate change. We will stand beside the poorest communities and give them a voice in civil society. 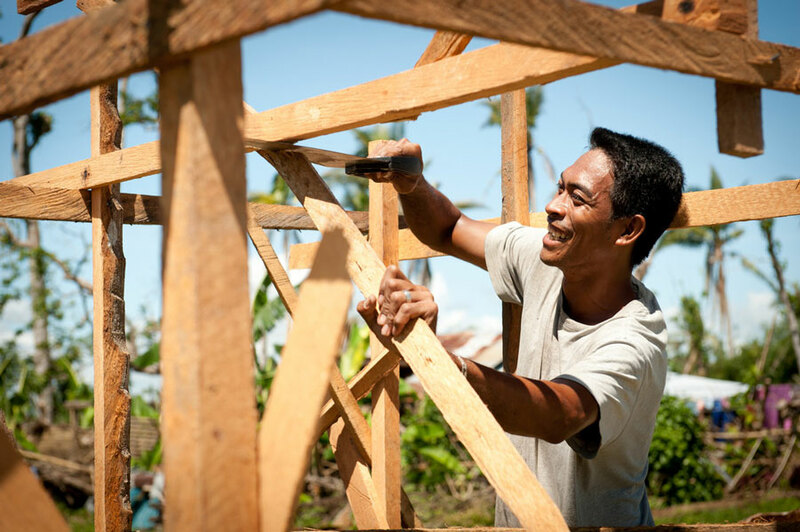 One year after typhoon Haiyan struck the Philippines, the challenge is to ensure that recovery efforts leave devastated communities better able to pursue diverse livelihoods, access safe shelter and withstand future shocks. 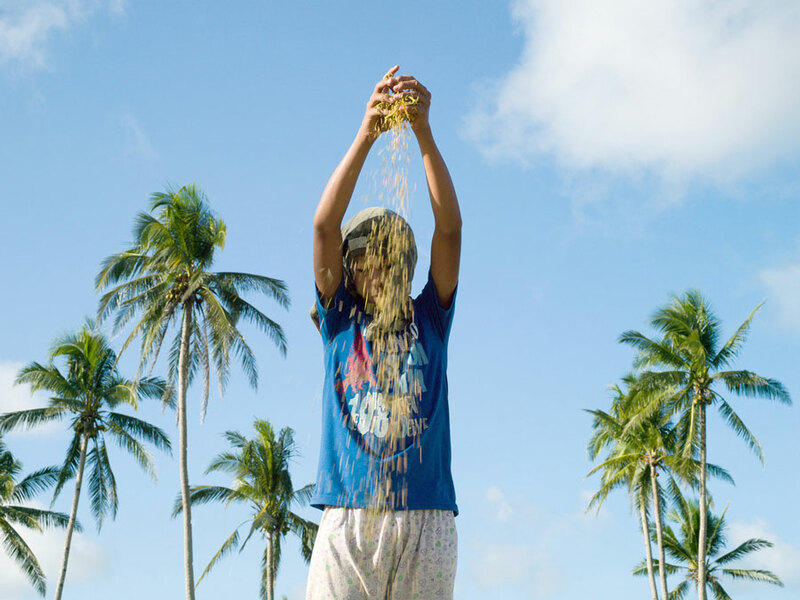 Yeb Sano, Climate Change Commissioner, Philippines, explains how climate change is making people hungry and exhorts the world to fight it together.